Come and try this great sport in a friendly and welcoming environment. Have fun, improve your skill level, work in a team & meet some great people. This is a seated sport, so don’t worry about your fitness, stability or balance! This is a very inclusive game that is easy to play, but difficult to play well. 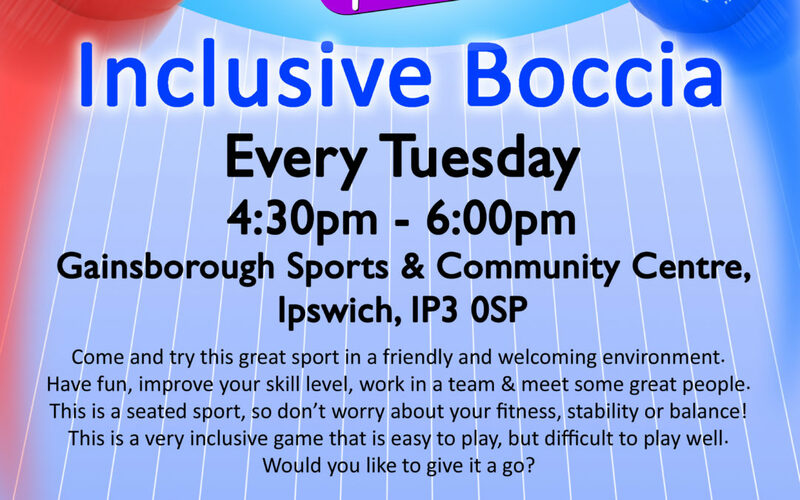 This session is aimed particularly at participants with a learning disability who do not already play regular sport. It is a partnership between ActivLives and Special Olympics Suffolk and is supported by Suffolk’s ‘Most Active County’ initiative. This session will provide access to Special Olympics competition.